This week the World needs a little more kindness. Like most of you, I am still stunned by the recent tragedy in Las Vegas. As a “glass-is-half-full” person, it is so hard for me to fathom how someone can do something like this. That they see doing this as their best option or only option is beyond my comprehension. I don’t want to turn this into a philosophical or political debate. There are other forums for that. Instead let’s focus on the kindnesses that happened. People helping and protecting others. People working around the clock to help as many as they can. People standing in outrageously long lines to donate blood. The outpouring of love and support and donations. Let’s focus on the good. Focus on those people that were there and able to help others. And did so without any expectation of any sort of reward. They were choosing to be kind. They were choosing to be good humans. It’s those kindnesses that will keep us going. It’s those kindnesses that mean so much to us as a society. As you go about your day, remember to be kind to everyone. Your kindness could help someone more than you will ever know. 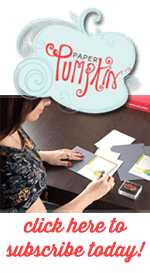 Oh my goodness, October is shaping up to be the month for Stampin Up specials! We have four promos this month and they are all incredible deals. Did I say four? There is actually a fifth promo that’s not shown here because it is a special product release for Demonstrators only right now. This special is available to us until October 15th. You could sign up right now and get this promo in your Starter Kit. This is the perfect time to join my team and earn a little extra money for the Holidays. Stampin Up is releasing it’s very own line of alcohol markers and as a Demonstrator you will have access to purchase them now before they are released to Customers at some point in the future (release date TBA). So, back to the promos… First up is our Paper Pumpkin special Holiday kits. The October and November kits will coordinate together to help you get those Holiday cards and gifts done quickly. Be sure you sign up by October 10th to get the October kit and stayed signed up through November so you get the coordinating November kit. Next up is World Cardmaking Day, but don’t worry, you will have 10 days to celebrate and take advantage of the sales.